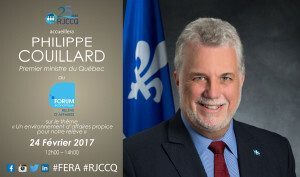 Maxime Laporte of Quorum is a speaker at the 2nd Forum économique de la relève d’affaires organised by the RJCCQ. Quorum is proud to have participated in the 2nd Forum économique de la relève d'affaires (FERA) organised by the Regroupement des jeunes chambres de commerce du Québec (RJCCQ) on February 24th in Montreal. Maxime Laporte of Groupe Quorum was a speaker at this inspiring event attended by M. Philippe Couillard, Premier of Quebec, Ms Lise Thériault, Deputy Premier of Quebec, Marie-Pier Saint-Hilaire, Mitch Garber, Alexandre Taillefer, Jonathan Ortmans, a previous entrepreneurship councillor in President Obama’s administration, among 23 other high calibre speakers. 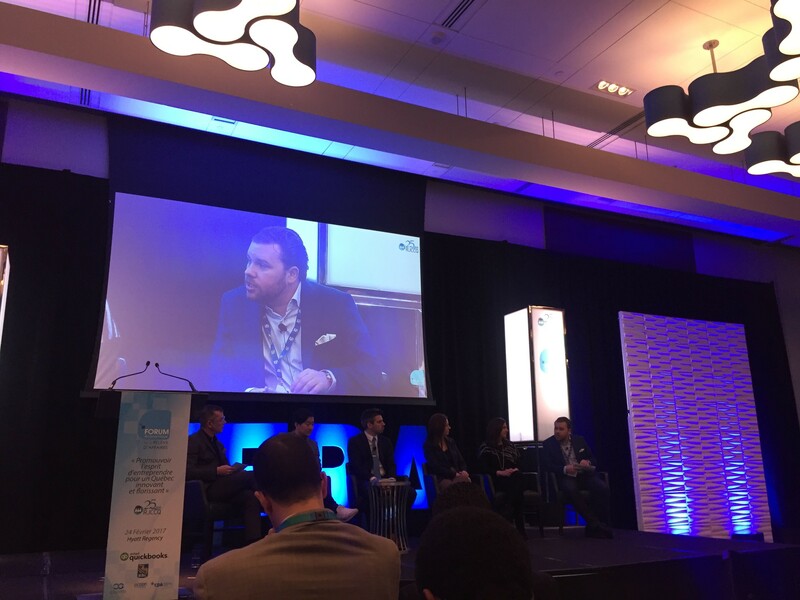 Close to 650 participants from around the province of Quebec gathered to participate in this event which aimed to promote and encourage entrepreneurship to young Quebecers and to present business recommendations for the new entrepreneurship policies currently being planned in the province. In addition, Quorum took the initiative to offer to 20 cegep and university student members of L’Association des clubs d’entrepreneurs étudiants du Québec (ACEE) from the greater Montreal area to attend the conference free of charge.